This event was a large family party which had an large amount of adult with children. 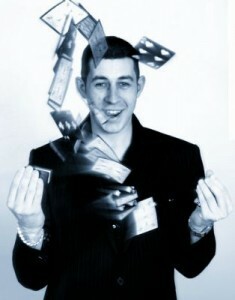 I was mingling with the guests performing some of my award winning magic. Some of the tricks I perform include changing a £5 note into a £50 as well as disappearing ladies wedding ring only to appear back on my car key ring!! My magic is always well received and on this occasion not only did I get a tip but I got a huge long e-mail this morning thanking me for attending the party as well as booking me for another party in the new year!! Here is one of the very funny things written.